University of Illinois at Urbana-Champaign alumna Leah Matchett will pursue a Ph.D. in political science at Stanford University among the first group of Knight-Hennessy Scholars. 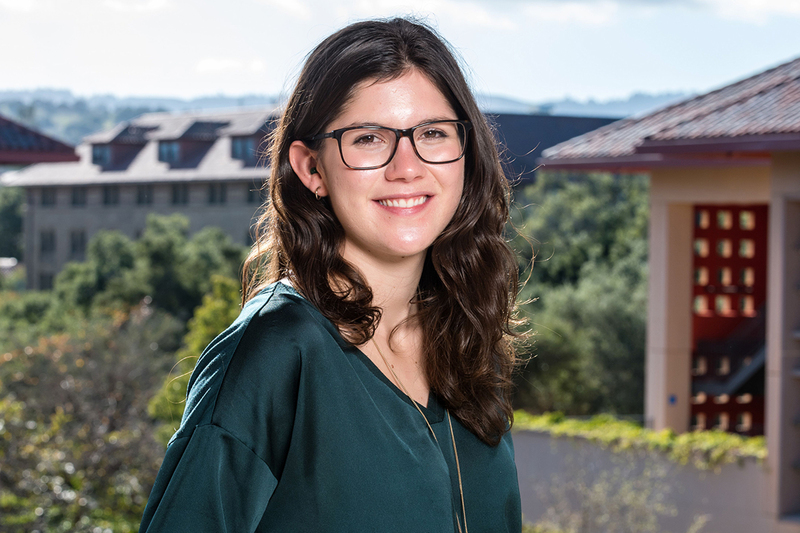 CHAMPAIGN, Ill. — Leah Matchett, of Grand Haven, Michigan, and an alumna of the University of Illinois at Urbana-Champaign, is one of 49 students selected in the first year of the Knight-Hennessy Scholar program for postgraduate study at Stanford University. Matchett, who earned a bachelor’s degree in global studies and geology from Illinois in 2016, is currently pursuing a master’s in international relations at the University of Oxford as a Marshall Scholar. At Stanford, she will pursue a Ph.D. in political science. “We have selected students who believe strongly in the pressing need for better leadership across all disciplines and around the globe,” said John L. Hennessy, the Shriram Family Director of Knight-Hennessy Scholars. Scholars will receive financial support for the full cost of attendance for their graduate education at Stanford, and build on their core degree program with leadership training, mentorship and experiential learning across multiple disciplines. Along with Hennessy, who served as Stanford University’s 10th president from 2000-16, the program is named for Stanford alumnus Phil Knight, a philanthropist, business leader and co-founder of Nike Inc., who is contributing $400 million to the program. In its first year, Knight-Hennessy Scholars received 3,601 applications from around the world. Matchett aspires to a career as an expert on nuclear security. At Illinois, Matchett earned Bronze Tablet and James Scholar honors in the College of Liberal Arts and Sciences. She served as a teaching assistant for a Nuclear Weapons and Disarmament physics course and helped to found a pre-professional security studies student group. Matchett helped organize students to discuss higher education funding with Illinois legislators and presented her geology research at the state Capitol. As a student at Illinois, Matchett worked with the Bureau of International Security and Nonproliferation in Washington, D.C., utilizing her expertise in nuclear nonproliferation issues. She also served as an environmental science intern for the U.S. Consulate in China and with the U.S. Geological Survey in the Department of the Interior. Since graduating from Illinois, Matchett has served as a student associate at the Harvard Belfer Center: Managing the Atom Project and as a graduate fellow at the Nonproliferation Education and Research Center in South Korea. She is an active member of Rotary International. “Leah Matchett has continued to forge a path as a difference-maker in the field of nuclear policy, and the University of Illinois could not be more proud of Leah’s continued success in garnering the resources necessary to help her bring about a more stable and peaceful world,” said David Schug, the director of the National and International Scholarships Program at the University of Illinois.